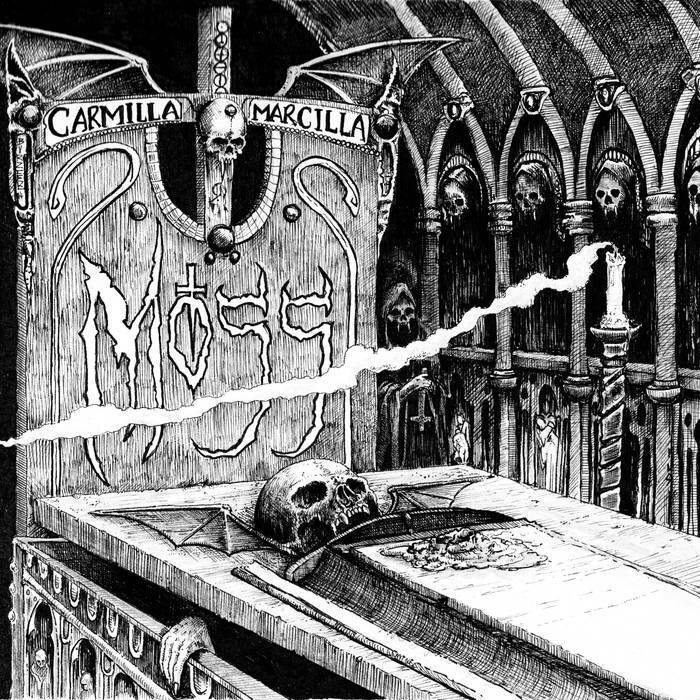 Moss are a band from the United Kingdom that plays a mixture of funeral doom metal, drone and sludge with a touch of occult rock and this is a review of their self released 2014 ep "Carmillia (Marcilla)/Spectral Visions" which will be released on Halloween. A very slow, dark and heavy doom metal sound starts off the ep and a few seconds later melodic clean singing vocals are added into the music and they bring in more 70's elements in the bands musical style and after a few minutes solos and leads are added into the music and they also take the music into even more of a darker musical direction and both of the tracks are very long and epic in length. On the second track the music starts off with a very slow sludge/doom metal riff along with some melodic vocals a few seconds later and you can hear a 70's stoner vibe throughout the track while the songs remains very heavy and when solos and leads are added into the song they bring in a great amount of reverb and drone orientated noises and are only used for a few seconds with the songs focusing more on a doom metal sound. 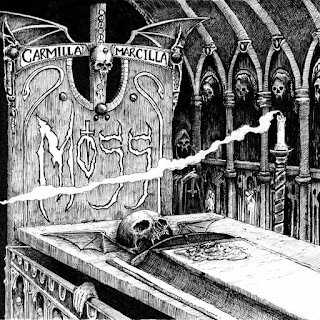 Moss takes the heaviness of funeral doom metal, sludge and drone and mixes it in with a more traditional 70's doom/occult rock sound to create 2 very dark, melodic and heavy tracks, the production sounds very dark and heavy while the the lyrics cover occultism themes. In my opinion Moss are a very great sounding mixture of funeral doom metal, sludge, drone and occult rock and if you are a fan of those musical genres, you should check out this band. RECOMMENDED TRACK "Spectral Visions". 8 out of 10.